Howl From the North has this iconic Viking-like warrior shouting to the wind with a longship in the background. I approve. The signature at the bottom is by ORBIK. A quick check shows Glen Orbik is a notable illustrator with his own site even. What does the inside credits say for cover artist? Jeff freaking Starlind! Both covers can combine into one epic barbarian tussle. 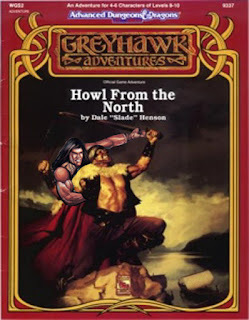 You got the black haired conan-esque guy from the first cover, out of the orc cave and now has got frost barbarian Orbikson in the same arm-lock as before. Two Shall Be One. You gotta love old-school D&D art, sometimes it's a real mess. A short trip turns into a long journey as you discover that you've been sold more than you've bargained for. Can you deliver the merchandise to its ultimate destination? 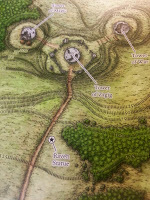 A one round Universal Wilderness adventure set in the southwestern Sheldomar Valley for level 1 characters only, and related to the Hidden Horrors story. One of Sir Kinth's advisors has received news of slithering shadows emerging from the Hool Marshes, near the Wephgar outpost. Residents of the affected settlements are becoming too scared to go about their daily life. Investigate what's causing these incidents and help ease their troubled minds. Or perhaps you might end up discovering something better left alone. 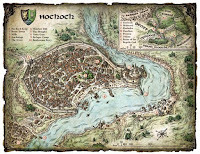 A one-round story arc Tactical Wilderness adventure for character levels 1-5, and Part 1 of the Hidden Horrors tory arc. 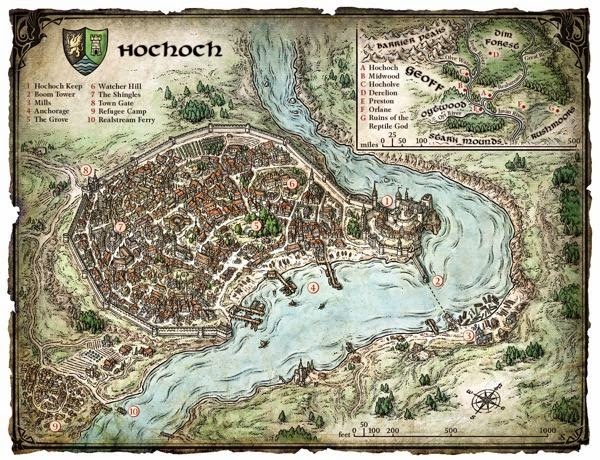 You are asked to discreetly deliver some goods for the Merchants Guild of Saltmarsh into the Hool Marsh. Sure, the Hool is a dangerous place, but they assure you it is simple caravan guard duty. What could possibly go wrong? A one-round Story arc Wilderness Universal adventure for character levels 1-4, and Part 1 of the Wrath of the Reptiles story arc. A respectable owner of several wood mills in the Lortmils needs guards to move some valuable cargo for one of his remote logging camps in a high forest valley. The terrain is rough and there are rumors of monsters roaming the mountains. Are the adventurers up for the task? A one-round Story arc Universal Wilderness adventure set in the Lortmil Mountains for level 1 characters, and the beginning of the Lortmil Menace Story-arc. The lands are full of peril throughout Keoland. It takes real heroes to travel the roads unmolested. What will they call you when you prove brave enough to visit the lands of Nume Eor where the lands were unsettled BEFORE the rest of Keoland fell into ruin? A one-round story arc Universal Wilderness adventure set in Nume Eor for levels 1-4, and Part 1 of the Sewing the Seeds series. The town of Walharbor is looking to expand its boundaries. The party I asked to secure an abandoned hold for the town. A one-round Story arc Universal Urban adventure set near Walharbor for character levels 1-5, and Part 1 of the New Beginnings series. A grubby, dissheveled alchemist stumbles into Westkeep, the local healers ask for the aid of adventurers to find out what has happened. Can you brave the dangers of the Hool Marsh to uncover the mystery? 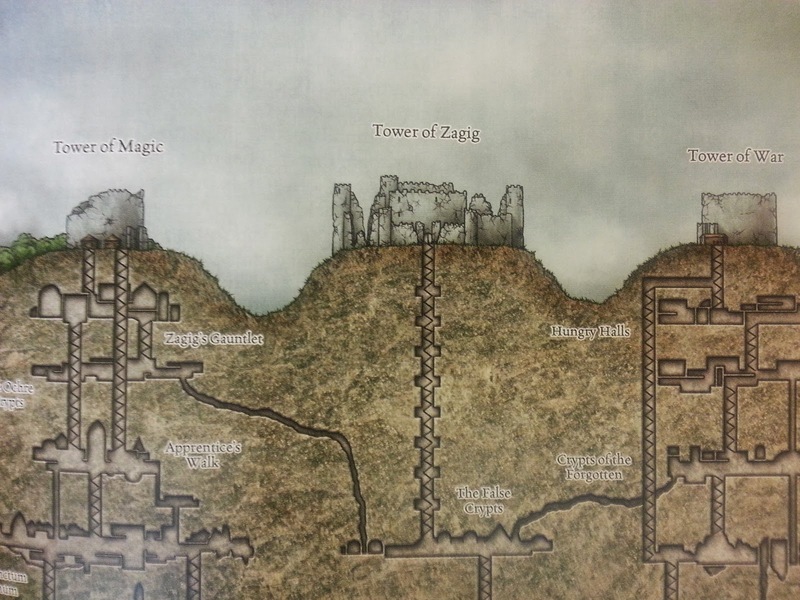 A one-round Stand-alone Universal Dungeon adventure set in Westkeep and the Hool Marsh for character levels 1-10. Recent discoveries have brought to light some very disturbing events and Sir Kinth is trying to determine if these events are random or somehow related. Now you are asked to investigate a new situation. 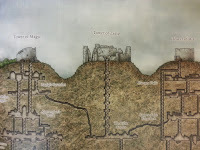 A one-round Tactical Dungeon adventure for character levels 1-10, and PArt 2 of the Hidden Horrors story-arc. Rumor has it that someone is sidestepping Saltmarsh and moving wares through the old haunted house east of town. What could they possibly be doing that requires them to bypass normal trade through the town of Saltmarsh? A one round Story arc Universal Wilderness adventure set in Salinmoor for character levels 1-10, and Part 1 of the Malevolent Mystery story arc. Goblin lay siege to Palinfure, a mixed gnome and Halfling community in the southern Lortmils. No decisive battles have taken place but the goblins will likely wipe out the settlement soon. Good folk in an allied town want to bring in shock troops to help turn the tide. 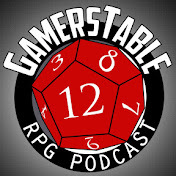 Are the adventurers ready to help rout the goblins? 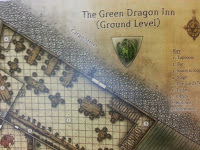 A one round Story arc Wilderness adventure set in the Lortmil Mountains for level 1-4 characters. Part of the Lortmil Menace story-arc. That's a lot of good new material and there is a lot more for me to feature. I can't wait to swing by the Greyhawk Reborn room and check in on the action! 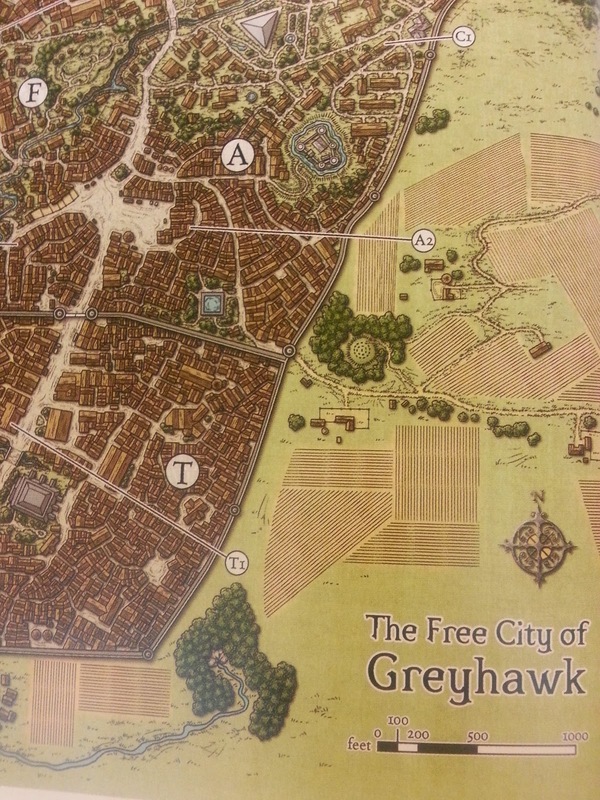 Welcome back loyal Greyhawk readers! 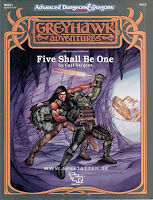 It's again time to promote a new page in the third chapter of our ongoing Castle Greyhawk graphic novel. Check out page-seventeen and read some routine writings by yarn spinner Scott Casper. On our site you can also check the archives and follow the entire Castle Greyhawk story from the very beginning. Artist's Commentary: This page was quite fun to draw, which is part of the reason I turned it in to Scott so quickly. The clip to the right of burning violet fungi is among my favorite effects so far in this entire project. I keep getting better as we go along! At first I was uneasy about the Greek fire reference when so many works of fantasy rename the substance for their own needs (wildfire in Game of Thrones for example). 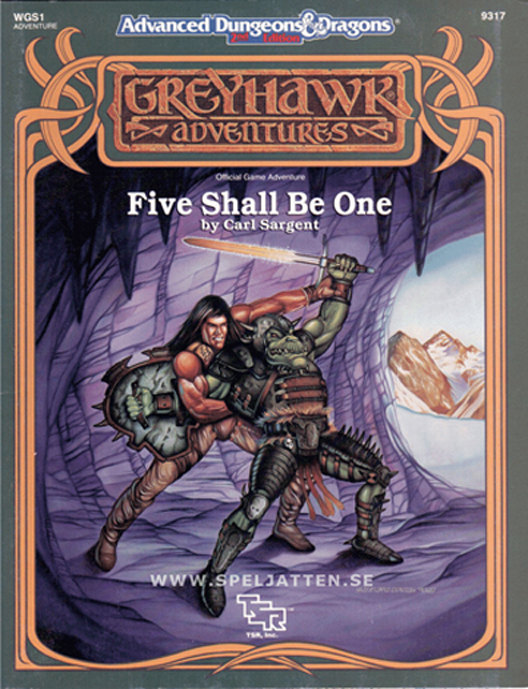 I briefly forgot that part of the charm of Greyhawk is that it's just an alternate-earth and characters like Murlynd are prone to pick up things like six-shooters and cowboy hats or in this case, greek fire. Why not? Poor Tenser's robes are a mess and he lost his helmet in the fiery pit. What could possibly happen next? Stay tuned and find out.